nice to hear ken clarke on the radio 'tother day telling us family cases take too long. damn fine chap. i trust he will be doing something next to deal with just how wet rain is. that has always annoyed me as well. and it will be the lawyers' fault too. or absent fathers. or floppy judges. or cafcass. Thanks, SW. Ken clearly has his finger on the pulse. ken is like a knight rider for the 21st century. righting wrongs ... or was that wronging rights? i no longer know. or probably care. hope he gets a bloody puncture. good point ... small thermonuclear missile? violent revolution? plague of frogs? 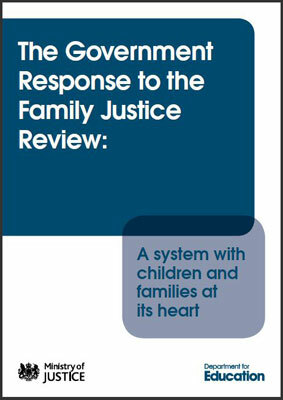 Good to see some serious debate about the most important changes to family law for years! well it isn't as if anyone has tried applying a plague of frogs to the problems of the family 'justice' system. might be just the thing. and it's a natural progression from there to death of the firstborn, which will certainly have some impact. think ken spoke of judges having to perform the judgment of solomon, so we aren't a million miles away. and if the child is dead there will be no need to cut it in half. problem solved. i really think i am wasted as a mere junior barrister. yes, i will shut up now, thank you for asking. That's more like it! When Ken goes, you'll be a shoe-in for Lord Chancellor! and is it shoe-in or shoo-in? never was shooer. thanks for the compliment - that must mean i'm as good at this law stuff as .... wait a minute?! why i oughta...! By Jove SW, you're right - it is 'shoo-in'! You learn something every day (not sure of the value of this particular fact, but still...).